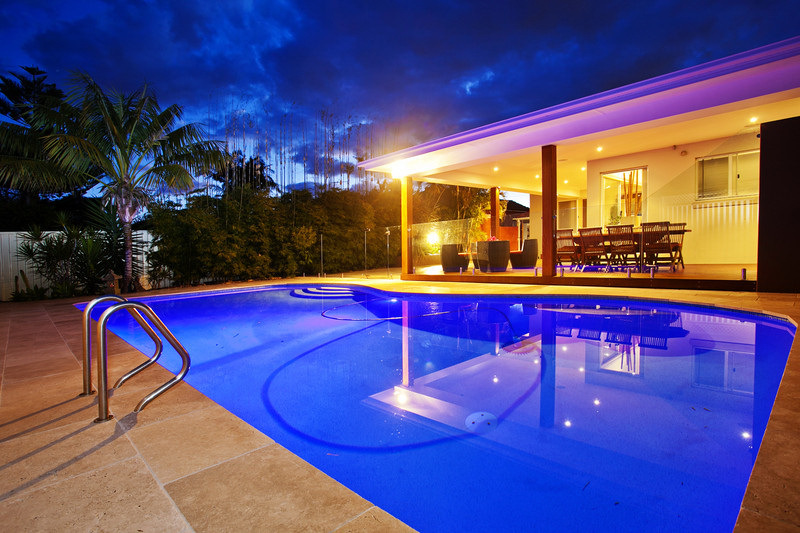 For years now, halogen lighting has been the standard in underwater pool lights. They’re fairly low cost, they’re bright and easy to service. In the past, LED lights weren’t suitable for any lighting applications and were restricted to the little red power light you see on your TV. Right now, LED lighting is going through a revolution. Issues such as brightness and cost, which is what held LEDs back from mainstream lighting applications in the past, have been solved. LED pool lights are now brighter than ever and they’re cheaper than they ever have been. Now, all pool lighting manufacturers are focusing on their LED ranges. Most will not be making, or at least releasing new halogen light ranges anymore. 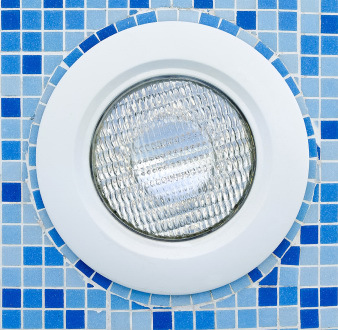 Which one is right for you: LED Pool Lights or Halogen? Brightness and Light Quality: Very bright and gives more focused torch-like light. Running Cost: Halogens use about 5 times more power than LED lights. Halogen lights normally use 100 watt bulbs. Servicing Costs: About once a season, the globe needs to be replaced at a cost of $15 – $80. In addition to this, the O-ring, which seals the light from water also needs to be replaced every 1-2 years. O-rings cost $5-$20. Now, the only real advantage halogen has over LED is the easy serviceability and minimal amount of parts. The less parts, the less chance of something failing. Light Colour: Limited. Colour is normally changed by changing the lens of the light, which is not only expensive, it also takes quite a bit of time to do it. Most people would only change the colour if absolutely necessary. The lenses can come in basic colours such as red, blue, green, white. Automation: No automation is built into these lights. They could be wired to existing house automation or a timer. A time is the easiest solution if you want to regularly operate your light. Lifespan: Aside from the globe, the light fitting itself can last 5, 10 or even 20 years. Halogen swimming pool lights, whilst still around, are losing favour to new LED lights. This is the overall trend in the lighting industry – replacing all existing lights with LED. Brightness and Light Quality: Very bright. Gives a more even light – like a glow effect. Cost: $180 – $700. Low cost models start at $180. Brand names can charge as much as $700 per light. Running Cost: LED pool lights use about 1/5 of the power halogens do. 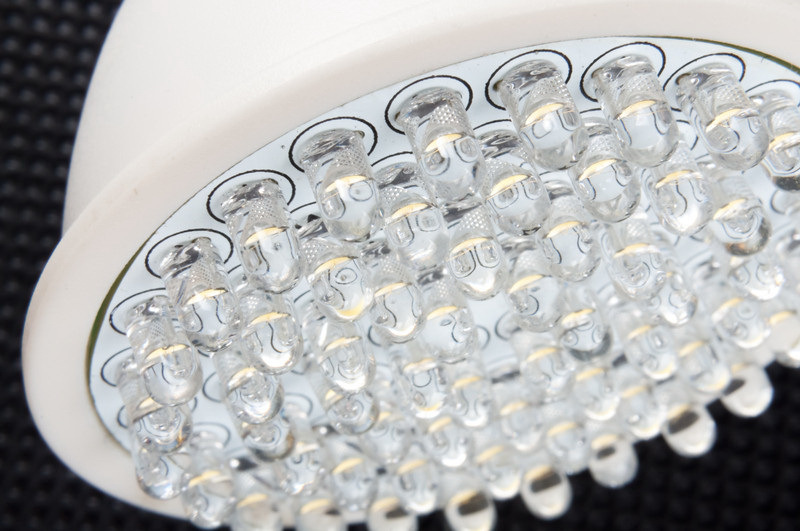 Servicing Costs: LED pool light fittings aren’t able to be serviced. If the internal components of the light fails, it needs to be replaced. This lack of serviceability is the main disadvantage of LED pool lights over halogen models. Light Colour: Many models offer up to 20 different colours and can be changed at the touch of a button. Automation: Most models offer an optional remote control. Some models offer built in automation which can be controlled independently from a smartphone app. Lifespan: Quality brand name products can last 10 years or more. Lifespan is normally less for low cost models. You may also refer to our other article for more information on LED pool lights and problems with LED pool lights. Automation: No integrated options Some have integrated remote and smartphone apps. Although halogen lights are low cost to buy and service, LED pool lights are the way of the future. The entire lighting industry is heading this way. LED pool lights don’t need to be serviced, they are cheaper to run, there’s a wide range of colours that can be changed easily and they can be connected to automation systems.